Pat works with public utilities, banks, closely held businesses, and municipalities on utility regulation, commercial lending, and business law matters. In his work with Moss & Barnett’s energy and public utilities team, he helps clients achieve positive regulatory outcomes before both state and federal regulatory bodies. He is also a member of Moss & Barnett’s financial transactions team, assisting banking clients with all aspects of commercial lending transactions. Pat provides business law advice and counsel to clients of all sizes, focusing on business formation, financing, sales and acquisitions, and structural issues. Additionally, he works with small and medium telecommunications companies and local units of government on state and federal regulatory issues. Pat draws on his considerable private sector experience in representing his clients. 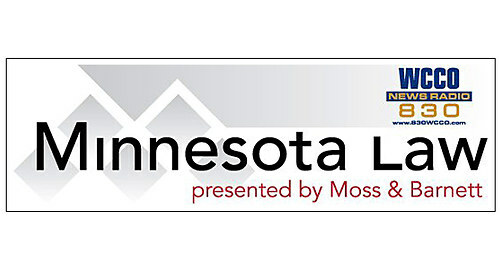 Prior to joining Moss & Barnett, he clerked in the office of general counsel at Xcel Energy Inc., focusing primarily on regulatory and data privacy matters. He also previously worked as a consultant in Charles River Associates’ energy and environment group. Rate cases. Represented multiple utilities in rate cases before the Minnesota Public Utilities Commission, the North Dakota Public Service Commission, the South Dakota Public Utilities Commission, and the Colorado Public Utilities Commission. Was involved with all aspects of the rate cases, from assisting with pre-filed testimony to participating in evidentiary hearings, oral and written advocacy before regulatory bodies, and appeals. Has experience working on revenue and non-revenue issues, with a particular focus on rate design and cost allocation. Alternative rate proposals. Helps utilities assess alternative rate proposals both during and outside of rate cases. Has helped utilities address time-of-day, inclining block rate, three-part rate, and other alternative rate design proposals. Has also helped utilities implement revenue decoupling mechanisms. PURPA. Provides strategic and effective representation in Public Utilities Regulatory Policies Act (PURPA) matters. From negotiation to contested proceedings, helps utilities balance PURPA obligations with the need to maintain reasonable and competitive rates for customers. Works with small and medium-size banks to document new and existing loans. Working with clients, helps create compact, clear, and enforceable loan documents. Assists with transaction structure and performs necessary due diligence. Provides counsel regarding a variety of lending transactions, including asset-backed financing, real estate and construction financing, renewable energy financing, mezzanine and subordinated debt financing, and loan participation and intercreditor arrangements. Works primarily with individuals and closely held businesses to address all stages of the business life cycle. Helps entrepreneurs form businesses and assists existing businesses with a variety of ownership, operational, and transactional issues. Works with small and medium telecommunications companies on state and federal regulatory issues. Communications work includes preparing regulatory filings and participating in regulatory proceedings. Counsels municipalities and local governments in their communications matters, with a particular focus on managing rights of way, franchising, and broadband deployment.